If there is something you should know about Singaporeans is we seriously enjoy our local food! Learn about Eurasian cuisine which mainly originated from the Portuguese settlers to Malacca. Eurasian cuisine comprises of a fusion of flavours from the East and West with complimentary Asian and European taste. Some popular Eurasian food includes the mouthwatering devil’s curry, kueh kochi pulot hitam, curry feng and more. On the tour, you will get to know more about the Eurasian community and learn their culture, history, lifestyle, and the contributions of this community to Singapore in the area of sports, music politics and more. Experience history in the making in this exclusive cooking tour to STGS from a reputable Chef and guide with knowledge of Eurasian recipes handed down from generation to generation. 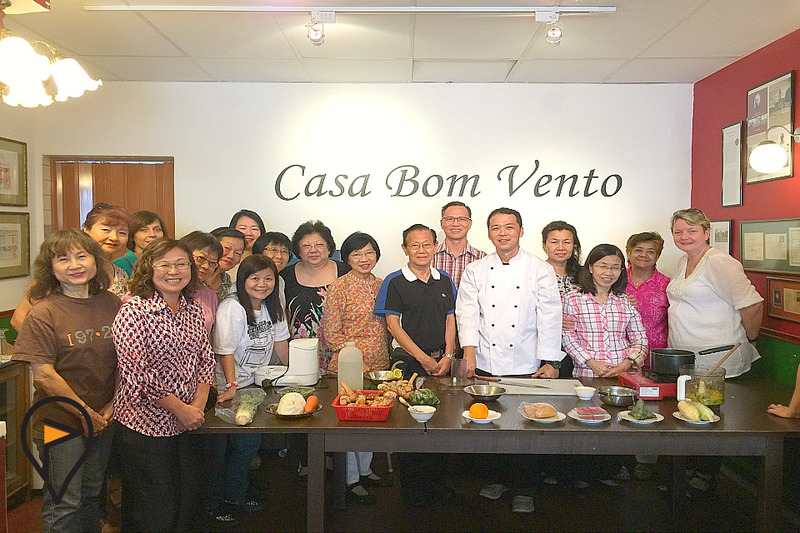 Join our Eurasian cooking tour today and take a delicious slice of Singapore home with you! JOIN OUR UNDERSTANDING EURASIAN COOKING TOUR TODAY! Meeting Place: STGS Office, 213 Jalan Besar #02-01 Guide will wear orange polo teeshirt displaying “Page A Guide” signage.